This month we reveal the places that made our Cool List 2019 — from booming gastronomic hotspots to up-and-coming cities, this is the last word in where you should visit in the year to come. Our team of editors, writers and industry experts have compiled the 19 destinations set to hit the headlines, with key openings, new routes and rising-star cities firmly in the spotlight. 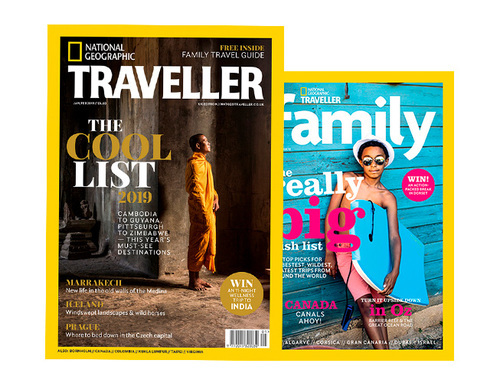 We also announce the winners of our annual Reader Awards, with the best destinations, airlines, operators, experiences, hotels and personalities as voted for by readers. PLUS free with the magazine is an 84-page Family guide. If you could go anywhere in the world with your family, where would you go? And why? We put this to our travel writers and pulled together a wish list of the best, greatest, wildest trips for 2019, from New York to Patagonia, Costa Rica to South Africa and beyond. 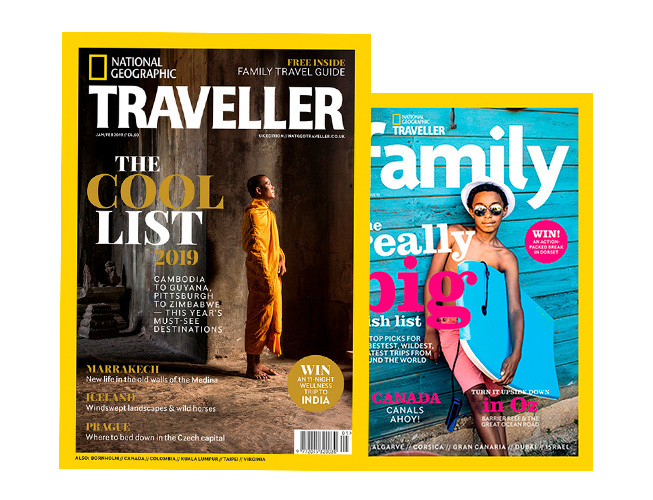 Plus features on how to travel with baby, Australia from Queensland to the Great Ocean Road, Dubai, Canada, Corsica and more. Destinations: We explore the wild side of Quebec’s national parks; leave our shoes behind on Colombia’s barefoot Pacific coast; and spend a long weekend in Denmark’s Bornholm. Our photo story, meanwhile, joins the wild horse herders in Iceland’s rural east. Cities: Our urban highlights this issue include Kuala Lumpur, Virginia, Prague, Marrakech and Taipei. Smart Traveller: Madrid’s Museo del Prado turns 200; the top travel books for 2019; a taste of Veneto; on the trail in Bavaria’s Franconia; the best rooms in Brisbane; like a local in Denver; and a trip to Cornwall. Author Series: Lydia Syson on the Kermadec Islands in the South Pacific. Travel Geeks: Ask the Experts includes tips on planning a trip to Egypt, seeing the Northern Lights in Sweden, plus foodie breaks in England.